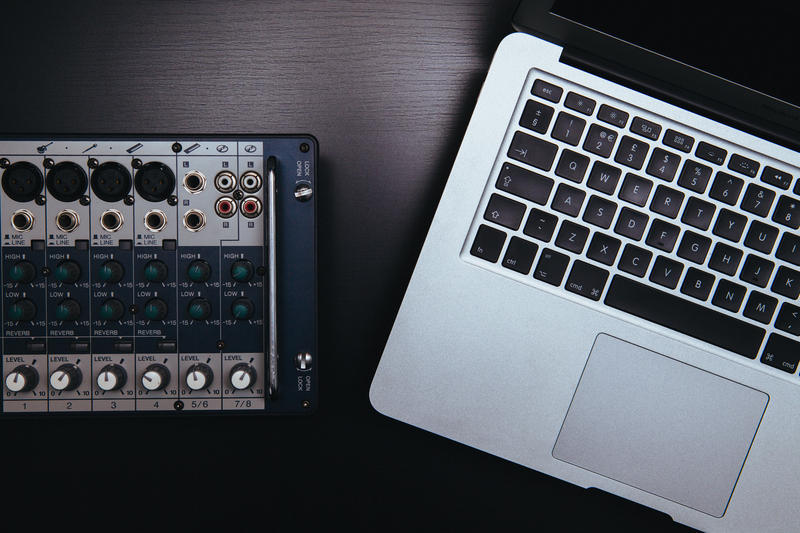 Assuming you have some music to release, be it a studio recording, live track, or even a rehearsal recording or demo, you first need to make some decisions about how your fans will listen to it. Do you want them to stream it or download it? Will you sell it or give it away for free? If you are starting from zero, you are likely going to be giving at least some music away for free, but that doesn’t mean their activity doesn’t have value to you. Streaming your music means you are releasing it to be listened to from an app or webpage, but only with an active internet connection, not downloaded. Currently, the biggest streaming services are YouTube, SoundCloud, Pandora, and Spotify. Since sites like Pandora and Spotify require a distributor (you can’t upload music yourself), we’ll focus on the others here. Come back to the blog for more information on how to choose a digital distributor when you need one. SoundCloud is my personal favorite site for getting new listeners to your music. The social features of following other people and liking and commenting on their tracks makes it easy to get noticed. Once you have some music online, do some keyword searching in your genre to find similar artists, and spend a little time each day interacting with people. Don’t beg them to come to your page, just spend time following and listening to people, and leave honest comments. Commenting too often may come off as spammy, but a few a day is a great place to start. General etiquette like following back and replying “Thanks” to positive feedback on your tracks will keep people interested in what you do, and make them more likely to listen to the next track you put out. In general, look for smaller artists with very recent tracks to follow and comment on, they are the most likely to be online and care enough to see who’s paying attention. Groups are massive playlists separated by genre which are usually open for music submissions by any user. For example, if you are a punk band, you can find several different groups related to your genre: punk, punk rock, indie rock, pop punk, and several combinations of each. Join these groups and upload a track (you have to have posted it to your own profile first), then go through the list and see what else looks interesting or similar to your style. You can also enable downloads from SoundCloud, but I wouldn’t recommend it in most cases. Downloads here are not paid, and I would rather my fans follow and come back to my page if they want to listen. Growing your follower base gives you an instant audience for the next time you upload a track. Even though YouTube is a video network, it is actually the number one place for music discovery online. That means more people use YouTube to find new bands to listen to than any other network. If you are starting from scratch, it may be a great place to gain some exposure. Since your music needs video in order to be uploaded, you will need something visual to accompany it. Smaller artists will often use their album cover or some other photos in a slideshow. Lyric videos, which display text lyrics on the screen along with the music are also easy to make, and are very effective. YouTube is also a great place to upload live performances. Especially if you are just starting out, live videos don’t have to be perfect, but they should show your energy and the crowd in a positive way. The key to being found on YouTube is to make sure you have as much information as possible in the titles, tags, and descriptions. In the title, include at least the band name and song name. Other options include what type of video it is (official video, cover, live, etc. ), the album or release it’s from, or the date and venue if it’s live. Descriptions can be very long, and include the genre, songwriters, band members, even a few sentences about the artist or music. Lyrics, studio information, inspirations, and thank-you’s are all okay. The reason for this is that you want your video to come up when people search—the more words you have, the more likely it is that will happen. The tags also help your posts come up alongside similar videos, which are displayed on the side panel and often autoplay once the user’s chosen video is over. Another big way artists get found on YouTube is by doing cover songs. Many people will search for their favorite song and see what other bands have played it, and just surf channels this way. In this case, you can put the name of your band, the song, and then the name of the artist you are covering all in the title. Bandcamp is another favorite of mine for independent artists, although things you put on this site should be much more professional. Studio recordings, especially EP’s and albums are best here, but only if they are professionally mixed and mastered. Make sure you include great artwork, and completely fill out your profile information. Listeners will be able to stream the music for free, but you can enable paid and free downloads. Be sure to at least require an email address for any free downloads. This list will come in handy later when you want to market a show or another release. Bandcamp isn’t the best for discovery, you will have to send your fans here with a link or other marketing, but it’s incredibly easy to use, and a great way to release a full album of material on your own. For that reason, I recommend Bandcamp to artists who may not have enough of a fanbase to invest in distribution, but want to showcase themselves in a professional way that gets some money or at least an email address from their fans. Which network is best for you? That’s up to you to decide. Do some research on bands in your area, and see which networks they use most often. Not stars or artists with a record label and funding, just some low or mid-level bands that you like and do well in your genre. It’s okay to copy their methods and design, but never images or text. These artists should also be the first people you connect with when setting up your networks. Just posting your music online is not enough. No matter what your release strategy is, you will have to put time in on the network finding fans or making sure they can get to you. As your marketing gets bigger, you can start to send your fans to the sites you use, and connect with them in multiple ways, keeping them active and interested in what you do. Have you found new fans using any of these networks? What was it like? Share your strategy or tips in a comment below!